Earlier this week rumors were swirling online that Valentino was going to be sold to the royal family of Qatar. Valentino confirmed those rumors today. Mayhoola, an investment group controlled by Qatar&apos;s royal family, purchased the label for an estimated $858 million, though that number is an estimate, according to WWD. Their vision for the storied label? "Valentino has always been a brand of unique creativity and undisputed prestige," a Mayhoola spokesperson said in a release. "Our vision is to back management for the long term to exploit the full potential of this exciting brand. 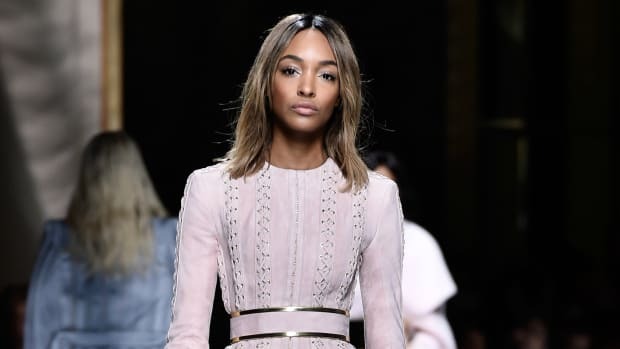 We believe Valentino is ideally suited to form the basis for a global luxury goods powerhouse.” Valentino&apos;s CEO Stefano Sassi said that the new investors will help the brand "reach its full potential." In addition to Valentino, the Qatar group also picked up the M Missoni license. And apparently the State of Qatar like the luxury sector. In recent years it&apos;s invested in LVMH, Harrods, and Tiffany & Co.
We&apos;re looking forward to seeing what&apos;s in store for the brand now that it&apos;s in the hands of a flush new investor. Valentino is on the selling block, and could go for as much as $852 million. After drawing rave reviews for couture, the Italian label is reportedly preparing for a sale to an unknown buyer, according to WWD. But it's a good thing for Valentino. Balmain could have a new owner by the end of the week. Harrods Owners to Invest in Versace? The restructuring of its Versus line may not be Versace's only big business news this year, with new investors said to be quite interested in the family-owned Italian fashion house. The 55-year-old fashion house is hotter than ever. How co-creative directors Maria Grazia Chiuri and Pierpaolo Piccioli have managed to modernize the brand without forgetting its past.